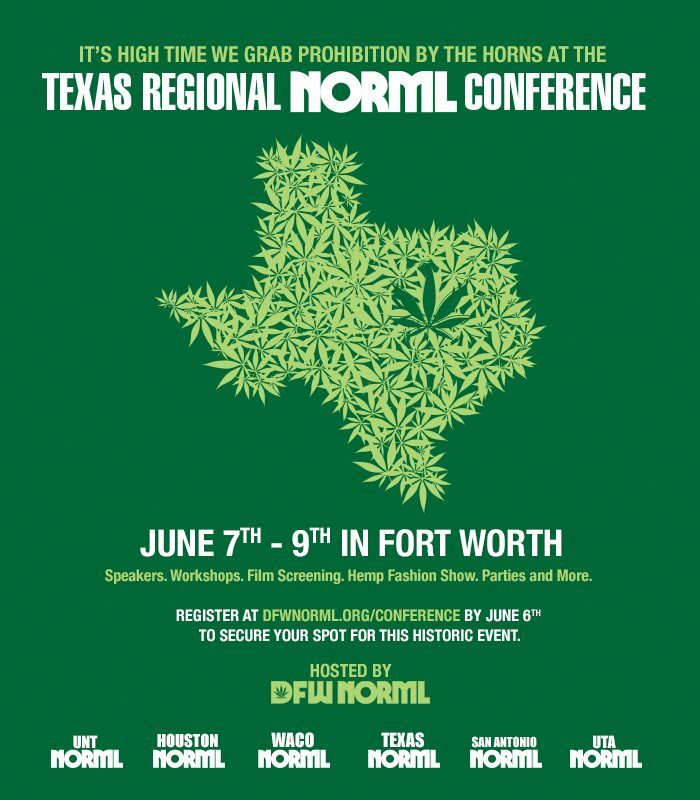 DFW NORML proudly presents the Texas Regional NORML Conference at the Norris Conference Center (304 Houston St.
Fort Worth, Texas 76102-7404) in downtown Fort Worth from June 7 – 9. This historic event includes over a dozen speakers such as Keith Stroup, founder of NORML, Judge Jim Gray, the 2012 Libertarian Party Vice Presidential Nominee, expert cultivation and concentrate tips, medicinal alternatives to smoking, an exclusive screening of the new documentary American Drug War 2: Cannabis Destiny, patient testimonials, a hemp fashion show, reception and live art show, two after parties, vendors, prizes and more than a few surprises. 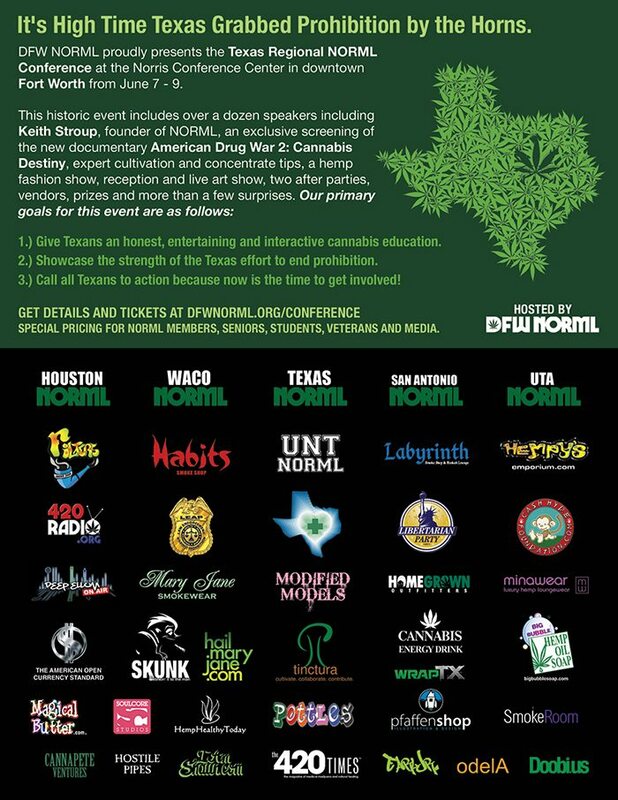 This is the current agenda for the Texas Regional NORML Conference. All speakers are confirmed unless otherwise noted. Times are subject to change so check this page for the most up to date version. $5 Cover or Free with 3 Day Pass. 18+ Welcome. Media passes are available. Email your request to thedfwnorml@gmail.com. Discounted pricing available for NORML chapters sending 3 or more members. 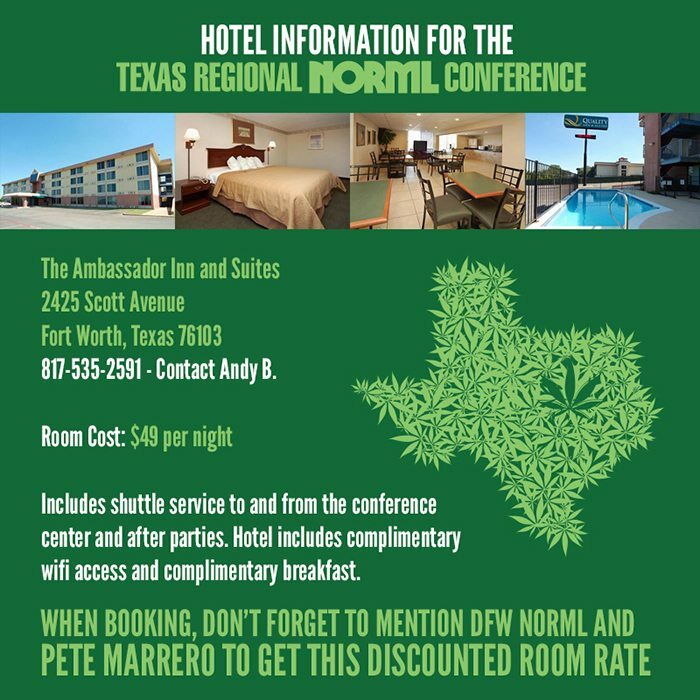 DFW NORML members should select the “NORML Chapter Pricing” option. Includes: Table during all days of the conference, banners hanging during after-parties and links/mention on the website event page and Facebook event page. 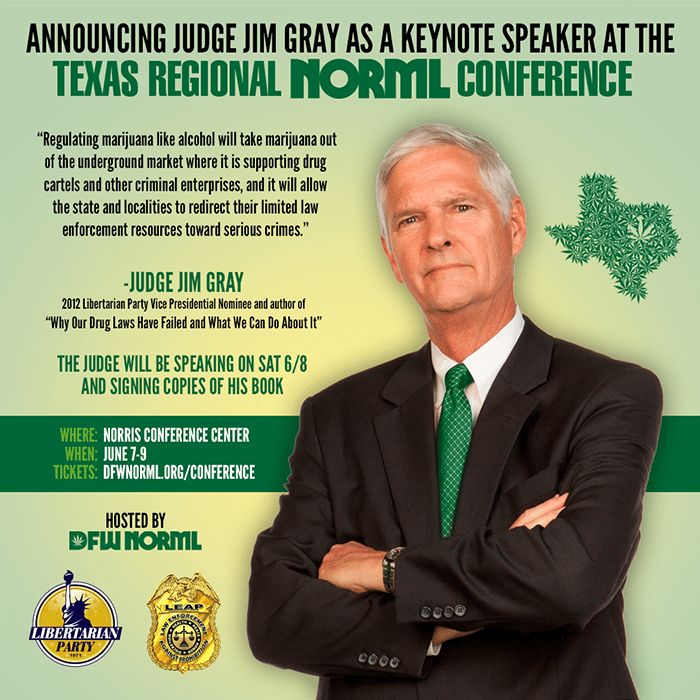 Looking to sponsor or support the Texas Regional NORML Conference? Email Pete@dfwnorml.org!